The Senate hasn’t taken any action yet on legislation that would give back pay to federal employees furloughed during the government shutdown. While the bill enjoys broad support in the upper chamber, several Republicans reportedly oppose the legislation’s swift passage through procedural shortcuts, such as a voice vote or unanimous consent agreement, and want the opportunity to offer amendments. The House on Saturday unanimously passed a bill that would grant retroactive pay to employees forced to take unpaid leave during the government shutdown, now in its eighth day. President Obama has said he would sign the legislation into law if Congress approves it. 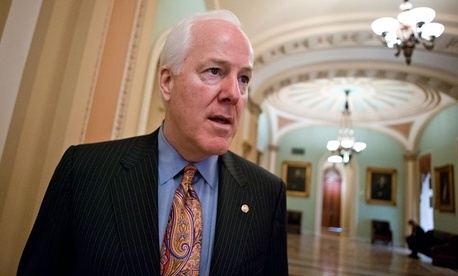 Senate Minority Whip John Cornyn, R-Texas, told reporters on Monday that it would be “premature” to consider a back pay bill for furloughed federal employees while the government still is partially closed. It’s also possible that granting retroactive pay to furloughed employees now, before the shutdown is resolved, eliminates a strong incentive for reopening the government quickly. Senate Majority Leader Harry Reid, D-Nev., so far has refused to bring to the floor House-passed legislation that would fund the government in a piecemeal fashion rather than through a “clean” continuing resolution. Congress did pass the Pay Our Military Act, which President Obama signed into law last week. That law ensures all active-duty and reserve members of the armed forces, as well as any civilians and contractors working in support of those forces, are paid on time regardless of the shutdown’s duration. “The bill [Federal Employee Retroactive Pay Fairness Act] is a priority,” said Sue Walitsky, a spokeswoman for Sen. Ben Cardin, D-Md., the bill’s sponsor in the upper chamber. “Sen. Cardin wants to get everyone back to work and he wants to make sure everyone gets paid.” Cornyn’s office and Reid’s office did not immediately respond to questions on the legislation. House Republicans on Tuesday introduced a separate bill that would pay federal employees who are working during the shutdown on time, rather than once the government reopens. The legislation would fund the salaries of excepted workers through Dec. 15.